"Each day, when night falls on our urbanized landscapes in our cities, our streets or our ports, another day dawns, electric. It is literally a "second day" which begins: one of neon signs, street lights, sodium, mercury or fluorescent lighting, one of illuminated apartments and shops windows, one of night activities that we did not know two centuries ago. Although today we no longer think much about it, this "second day" is now part of everyday life for city dwellers. Artificial light has been a conquest: by fire first, then by the gas, and more recently by electricity. 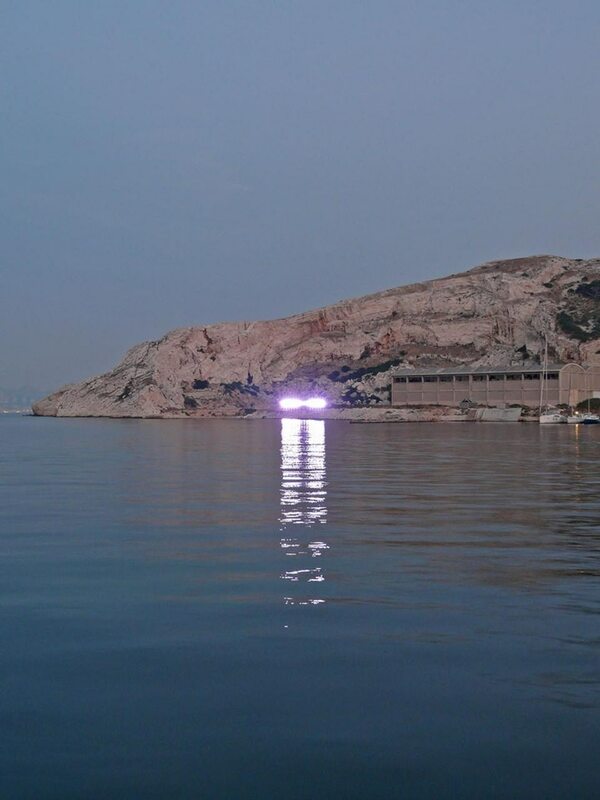 This "fabricated" light permitted first to extend artificially the day at night to illuminate the darkness, but also to transform our relationship to time, to landscape and to space. It especially allowed to exceed the given natural immemorial cycle of day and night induced by the rotation of the Earth itself, and thus to redefine architectural and urban spaces. 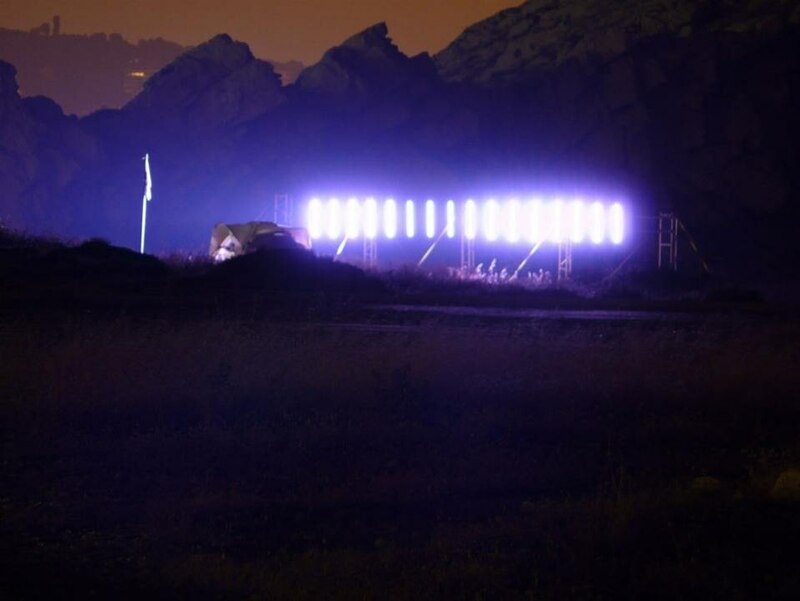 One also began to design new architectures that did not require natural lighting anymore. 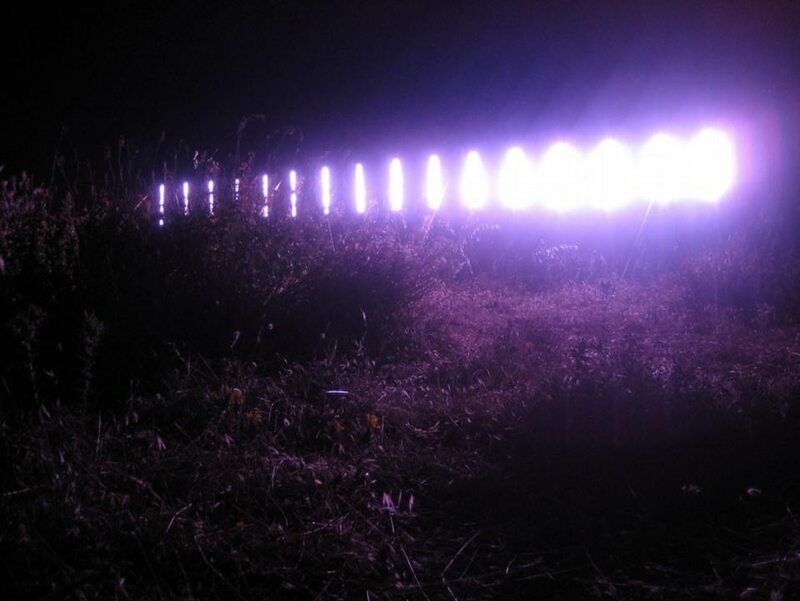 In a few decades, artificial lighting profoundly altered the lifestyle of city dwellers, but not only: birds began to sing at night near the lampposts, insects to swarm under the spotlights and stars to disappear of the urban night sky, opening the door to a strange world, that combines natural and artificial cycles. Losses and gains then. This environment, sometimes magical, sometimes disturbing, develops undoubtedly for us a poetry of shifts. Now, the challenge is to deploy these shifts, which combine presents and futures, into a comprehensive reflection on our contemporary space and our consumption of energy. 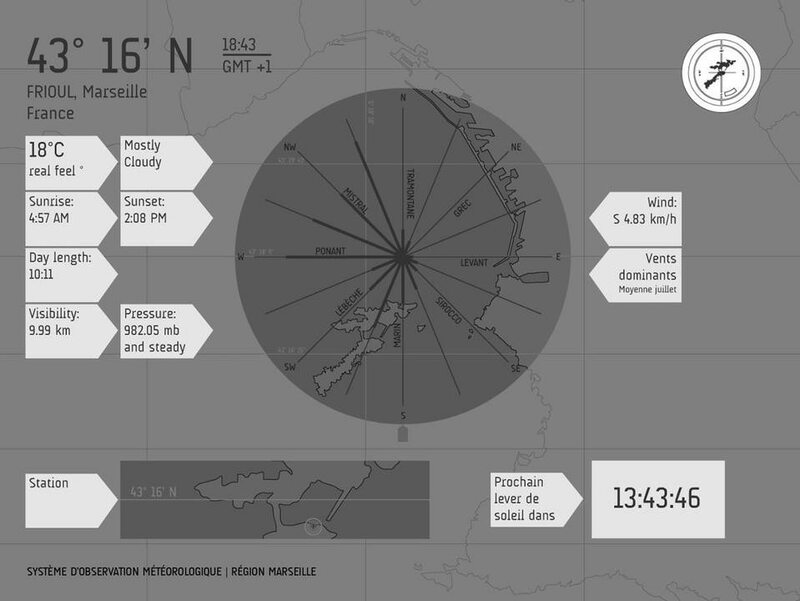 In a global environment, endlessly interconnected, which develops new forms of mobility, temporalities, and social behaviours at the crossings of time zones, this artificial day provides an opportunity for another kind of "days", simultaneous and distant: an imaginary or mediated "connection" with countries where precisely and literally, at the same time, the sun is shining. Through satellite imagery and sensor data, it is now possible to imagine opening a "window" onto a sensitive and remote light whose intensity varies continuously, the sky is sunny, then cloudy, then possibly sunny again. A window "teleporting" abstractly a remote atmosphere without physical mobility, without means of transport other than transportation data from there to here. With Arctic Opening, fabric | ch proposes to create such an "opening" at a large scale, to another day: an artificial and sensitive light, revealing some geographical patterns, luminous and meteorological, across the globe (to the summer of one hemisphere corresponds the winter of the other, to the daylight the darkness, to the perpetual light of a pole the night of the other, etc.). 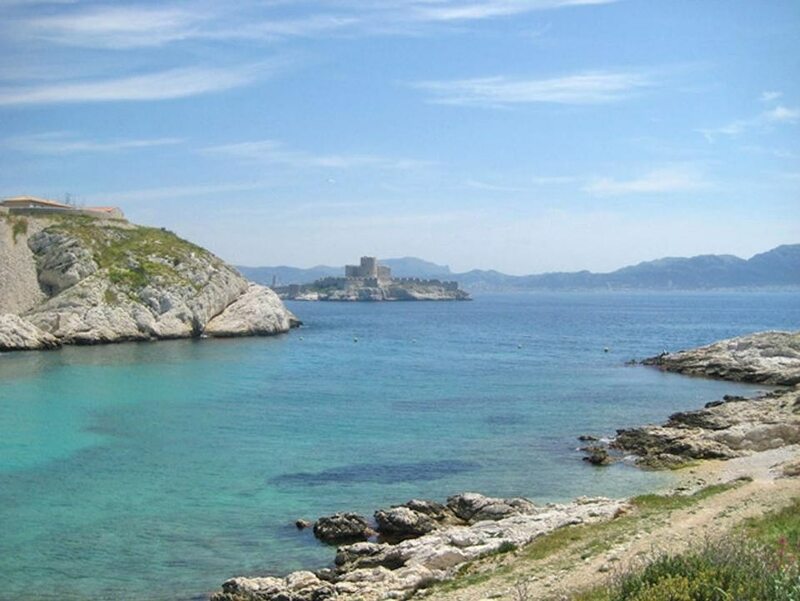 When night falls over Marseille this "second day" gets up with its source somewhere north of the Arctic Circle, on the edge of the habitable zones, where once the ice melted new navigation routes open and will open more and more in the future. Fed by light coming from regions, where in this season, the horizontal light of the sun never sets, where sunrise and sunset mix, Arctic Opening reproduces the continuous modulation of the northern summer. 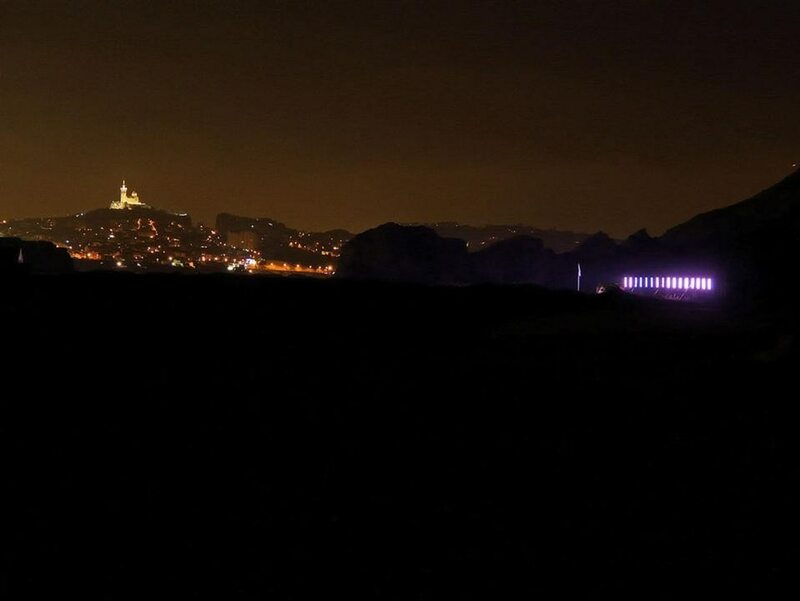 Composed of hundreds of light emitting diodes (LEDs), this bright band long of eighteen meters illuminates a rocky landscape, swept by winds. At sunrise, it goes slowly to reveal a temporary installation of pipes, placed there to conduct this experiment in distant light. 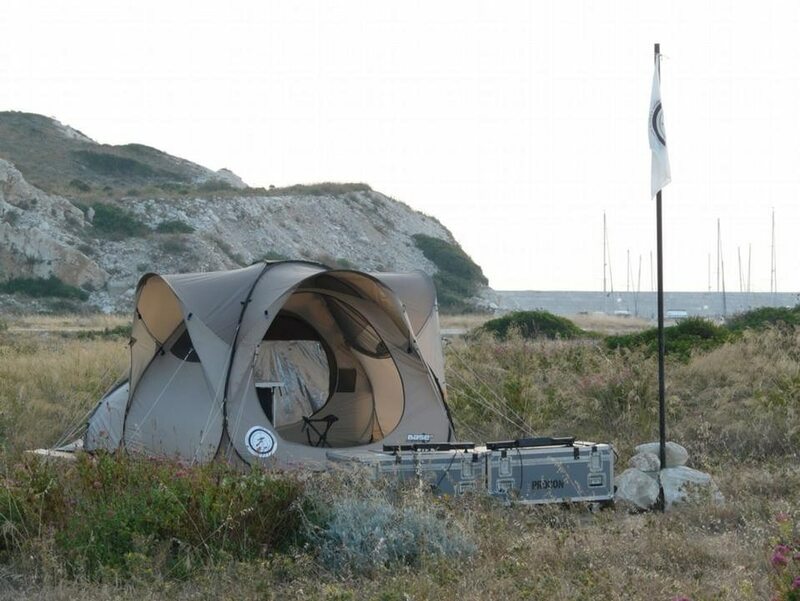 Erected near the vicinity of a military and industrial relic of the twentieth century, a tent hosting the instruments of control suggests a possible scientific expedition in an "hostile" zone. 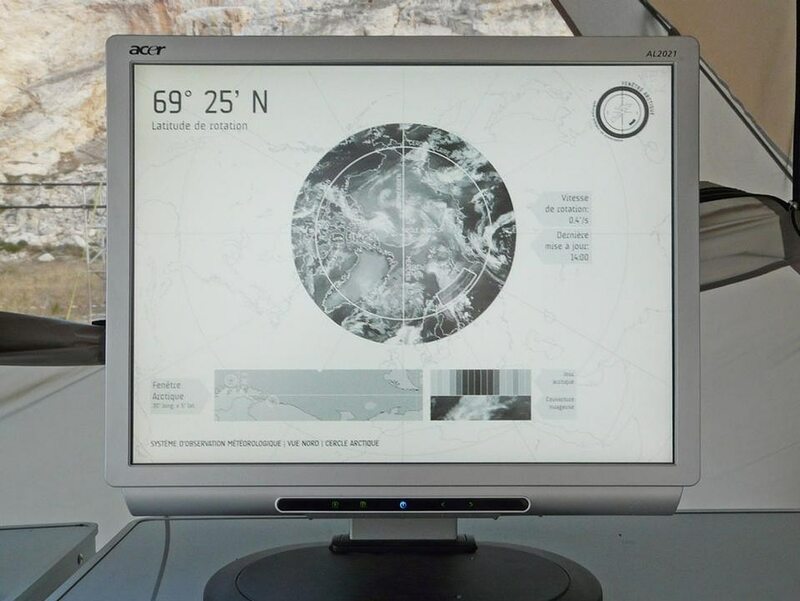 The combination of light produced by this window and the Frioul islands' landscape produces a composite territory: Arctic Mediterranea, remote nocturnal day. 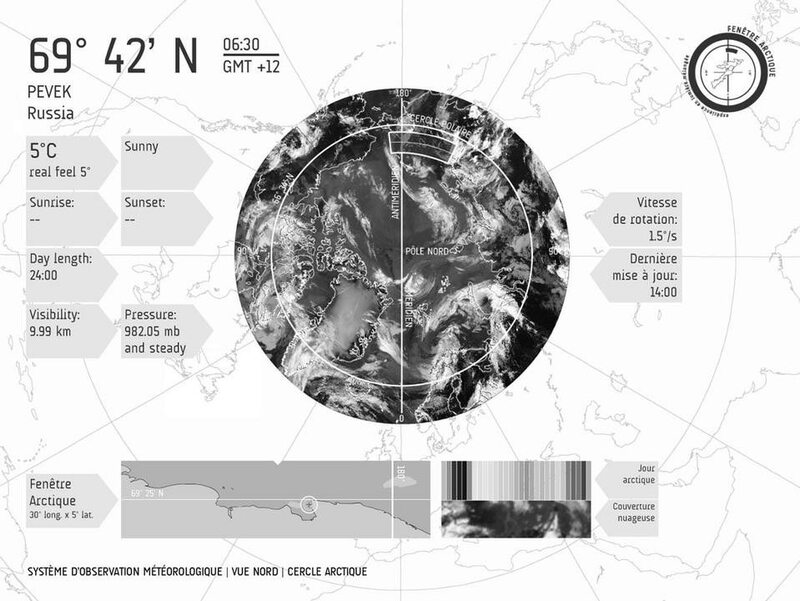 This hybrid area in mixed light is purposely created as a prospective environment, which evokes the contemporary patterns of mobility and crossing time zones, the fluxes and the networks, the artificiality and the mediatization, or to indicate the strange topographic similarities between the arid Frioul islands and the Arctic regions where no tree grows. 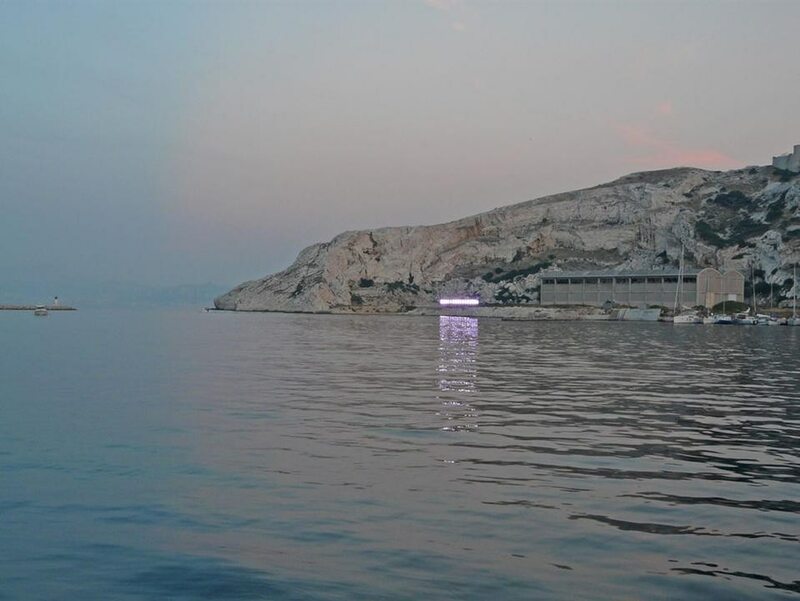 As if this temporary place in front of Marseille, illuminated by a light transported from the Arctic could become the distant, catastrophic and fictitious future of these northern territories: warmed by climatic changes, visited by boats navigating on new routes opened by melting ice, the shores of the Far North could begin to resemble those of the Mediterranean Sea. This environment would then hybridize himself as well, as people become increasingly mobile over time: mix of here and elsewhere, future and present, material and immaterial.